Very few Arizona workers compensation attorneys will take hernia cases. The reasons are that they are one of the only types of traumatic injuries with special rules in the statutes limiting how much compensation can be recovered by the injured worker. There are two types of hernias classified in the Arizona Workers Compensation Act: (1) real traumatic hernias; and (2) all other hernias. Real traumatic hernias are defined as "an injury to the abdominal wall of sufficient severity to puncture or tear the wall such that the abdominal viscera protrudes. 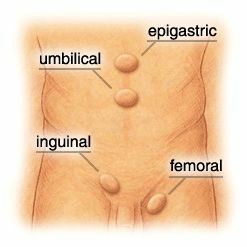 Obviously, all other hernias, are those that don't fall into the first category. Generally speaking, to prove a traumatic hernia, the injured worker needs to prove that the hernia was sustained in the course and scope of employment, that the descent of the hernia occurred immediately following the cause, and was followed by severe pain and immediately reported to another person. In cases of nontraumatic hernias, compensation is limited to two months. If a worker can prove that a real traumatic hernia has resulted, then temporary and permanent compensation can be paid if the worker can prove that a loss of earning capacity has resulted from the hernia. More specific information can be found at A.R.S. § 23-1043. Snow and Carpio also has a packet of information for hernia cases. If you would like a free packet, please call our office at (602) 532-0700 or in Tucson at (520) 647-9000 or visit our website at Snow, Carpio, and Weekley.